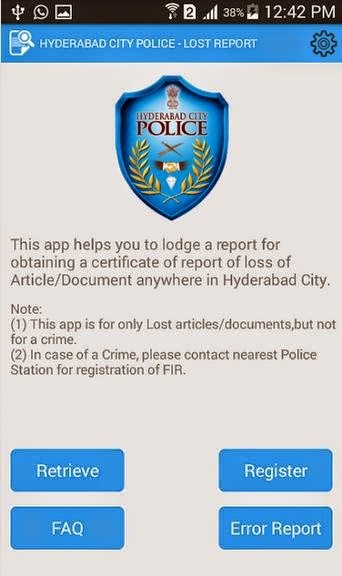 Hyderabad City Police has launched a Lost Report Mobile app which makes the life of citizens a lot easier by enabling them to obtain FIR for lost documents easily. We are all issued different documents by the Government, Education Institutions and other Private Organizations for different purposes. Some of the documents like Birth Certificate, Marks Sheet, Insurance Papers, Diving License, RC and many others. At present when these documents are lost then a citizen reports it at Mee-Seva center which then passed the details to the concerned Police Station. The officers from the Police Station then interact with the complainant personally to verify the facts. The complainant then can obtain a report from the Mee-Seva center. This report helps the citizen to obtain a duplicate copy. This process is very cumbersome and precious time of both citizens and law and order department is wasted. In order to streamline and make it easier Hyderabad City Police has launched this app in line with the app launched by Delhi Police earlier. The app can be downloaded from Android and iOS marketplaces. 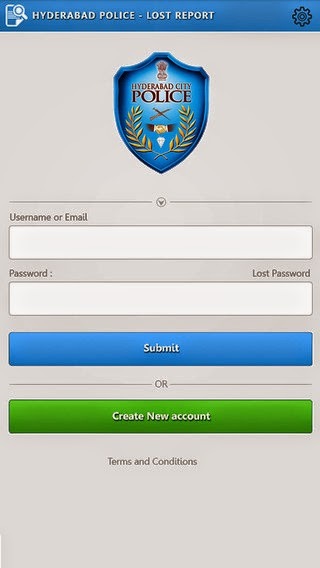 A user has to first download the app and register in the app by providing his personal information. He needs to provide his name, mobile number, e-mail id and Aadhar Card number. 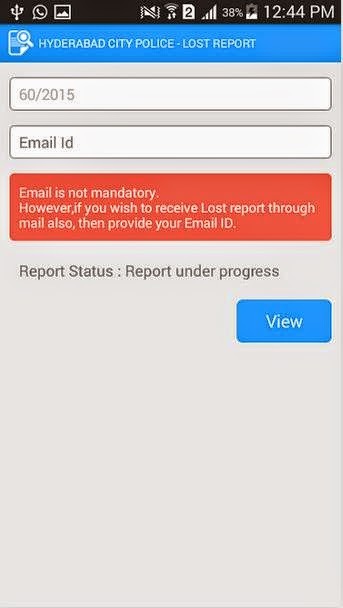 A user reports that he has lost a document like Driving License through the app. The report is accepted by the app and a confirmation reference number is issued against the submitted details on the app and to the e-mail id of the user. A user can also report loss of multiple documents in one submission. All the complaints are monitored by an officer of the rank of Addl DCP. He can approve or reject the complaint. A decision on each complaint is taken in 3 days. 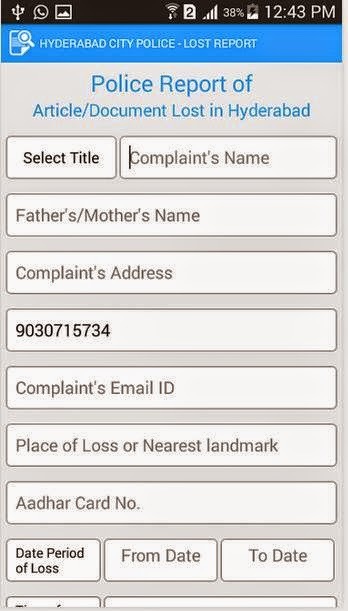 Once a complaint is approved a Digitally signed Police Report will available on the app and sent to the e-mail which can be downloaded by the citizen from the mobile app or through his e-mail. 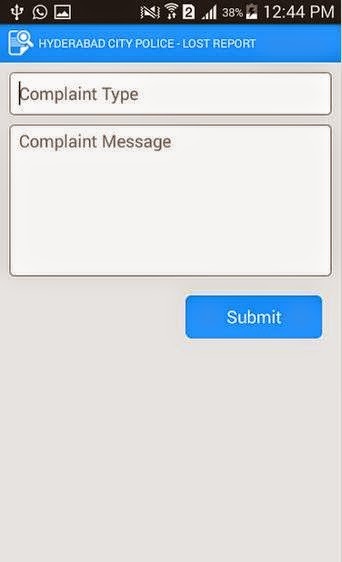 If the complaint is rejected a reason for rejection will be e-mailed to the user. The digitally signed report issued by the Police will have the photo of the user as available on his Aadhar Card along with a unique verification key for authentication. App Screenshots can be seen below.